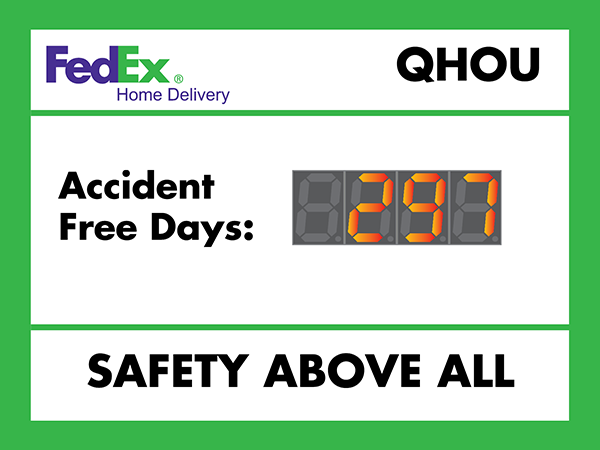 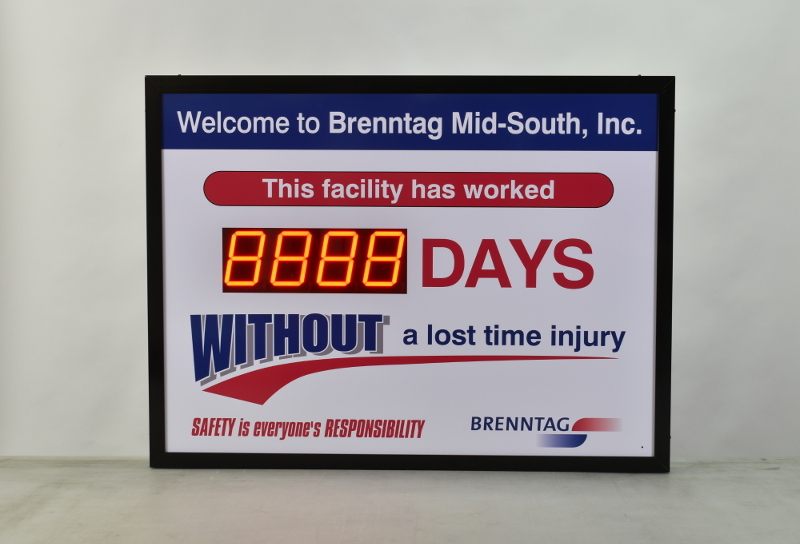 Attract attention to your safe days worked with this number of days since last accident sign with 5” counter display. 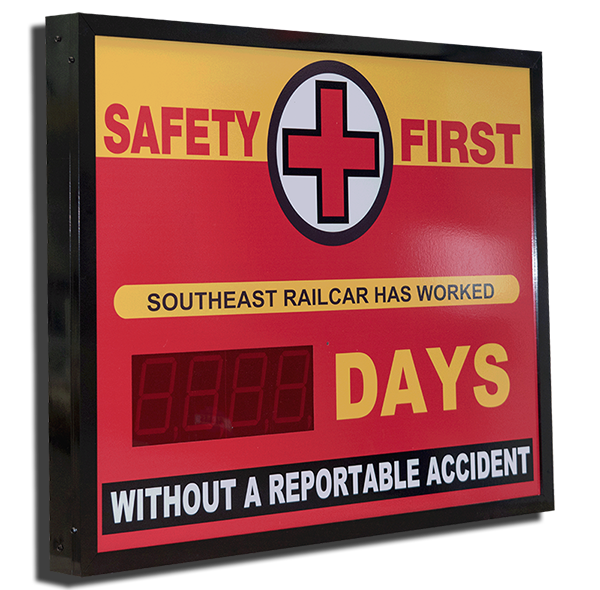 Easily customize sign graphics and text online! 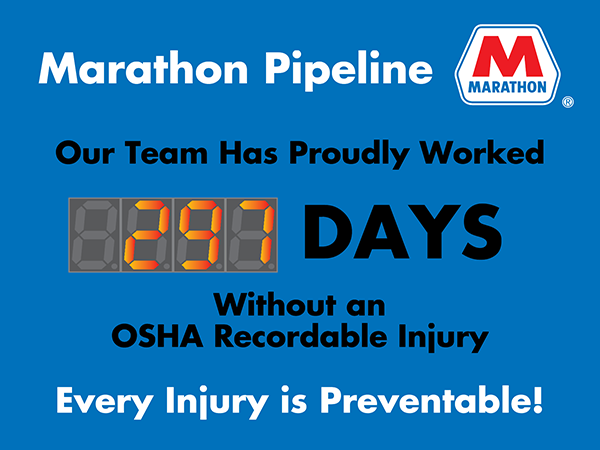 Every plant manager knows that keeping workers focused on safety is a priority. 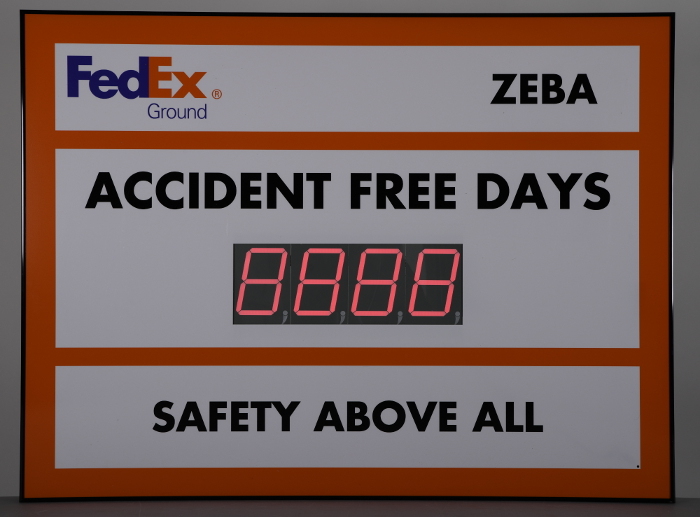 Keeping everyone in the workplace safe is a difficult goal to achieve. 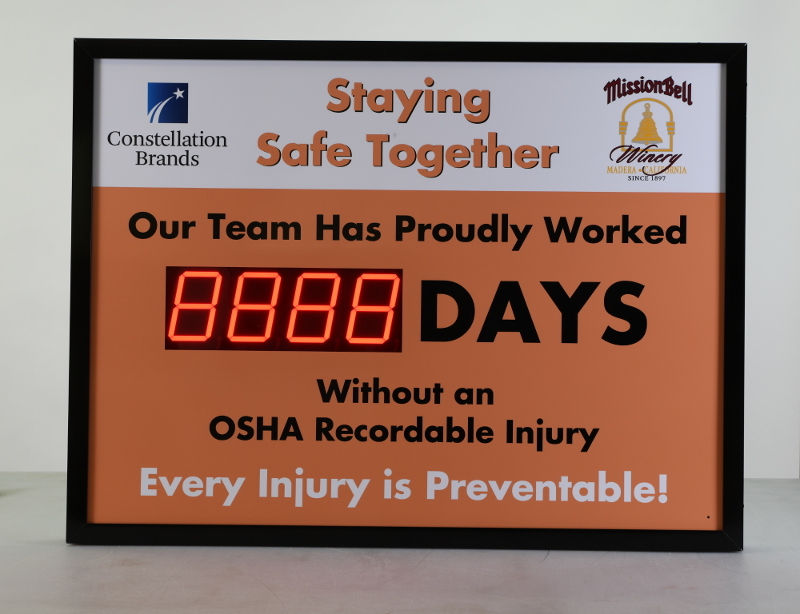 One that can be difficult to attain without keeping everyone involved and determined to make it through each work day without needless accidents. 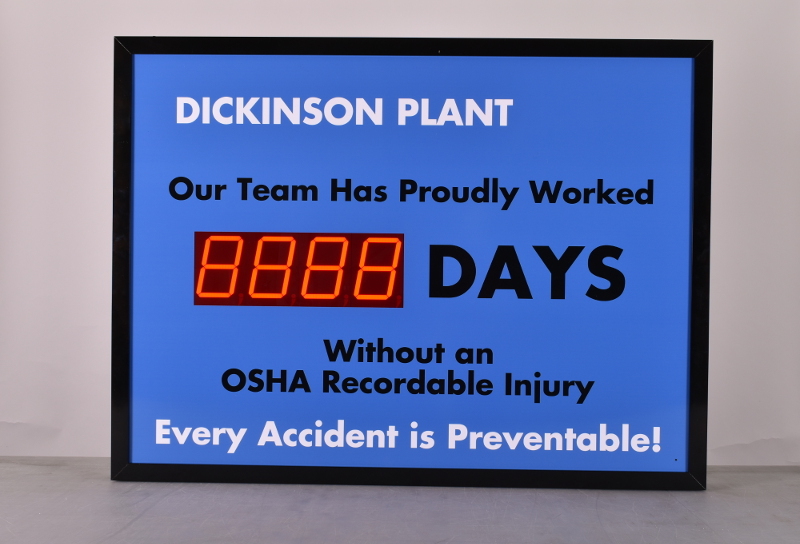 This rather large 36” high by 48” wide electronic safety scoreboard will help draw attention to your safety program and let everyone know the number of safe days your organization has worked with the large 5” highly visible LED display. 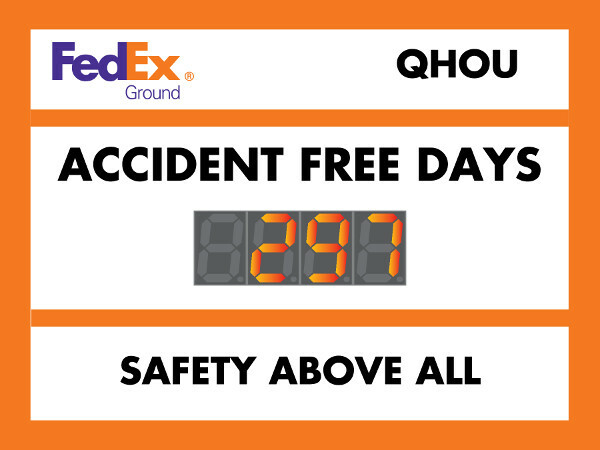 The counter display will automatically increment each day to track your safety record without intervention.